The Exchange at Potomac Yard is a 1.9 million-square-foot development with a planned 800,000 square feet of office and hotel space, 2,500 square feet of retail, 1,700 units of residential, and a new metro station. 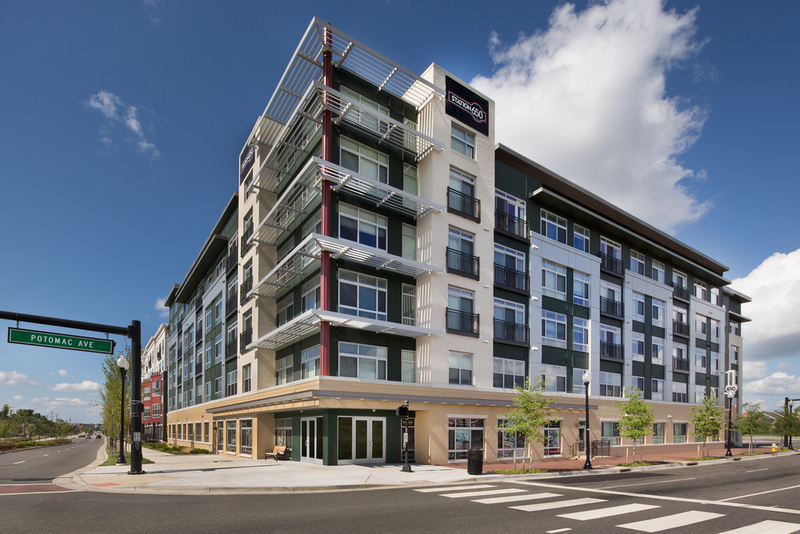 CBG’s fourth project in The Exchange at Potomac Yard, Station 650 is designed to achieve National Association of Home Builders (NAHB) Bronze Certification and features a total of 183 units in a five-story, wood-framed building with amenities including a bike rental station, clubroom, fitness room, and a green space courtyard on an elevated deck. Station 650 also features 2,500 square feet of retail space and includes one level of above-grade parking and one level of below-grade parking.